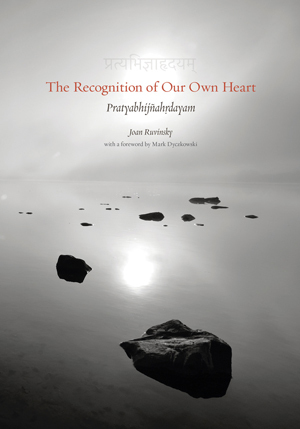 In this interpretive translation of and commentary on the Pratyabhijñahrdayam, one of the foundational texts of Kashmiri Shaivism, Joan Ruvinsky conveys the richness and incandescence so characteristic of the lineage without losing sight of the last 400 years of philosophical inquiry, spiritual revelation, and scholarship. Part poetry, part guidebook, part art, The Recognition of Our Own Heart invites you into discovery of the unknown — living directly, moment to moment, in the mystery. pathless yoga / body sensing / kashmir yoga. Call it what you will. It is a nondual approach to yoga offering quiet, gentle, non-volitional movement as a gateway to our inherent spaciousness. A simple, body-centered meditative technique practiced while resting comfortably, inviting inquiry into to one’s true nature.